The lobbyists that make up Washington’s permanent political class in the country’s “Boomtown” are banking on comprehensive immigration reform in 2014 to pad their profit margins even during a time when the country is revolting against them. That is a testament to the “to the resilience of Washington — and the firms that have thrived in the economy around it” even as the country is still trying to pull itself out of a recession. Indeed, as Breitbart News has reported, 8 of the 13 wealthiest counties in the nation are in the Washington region. And one of the biggest reasons for that is the money lobbyists are making on comprehensive immigration reform. And an industry insider expressed the frustration that the permanent political class has with the pesky Tea Party by saying, “You can see where there would be common ground between Democrats and Republicans if you were to recognize that the tea party wing won’t be calling the shots anymore.” That is why D.C. lobbyists cheered when House Speaker John Boehner (R-OH), who has insisted that amnesty is “absolutely not” dead in this Congress, started taking on the Tea Party last month while passing a budget deal that raised taxes and cut military pensions. The Chamber of Commerce is gearing up to spend $50 million to try to crush the Tea Party, largely because the movement has been successful in stopping amnesty, which President Barack Obama said was his biggest goal of 2013. Industries and interests on the left and right have spent millions in efforts to get amnesty enacted. Karl Rove’s groups are also reloading against the Tea Party. And they are doing so to make it easier to pass an amnesty bill that the Congressional Budget Office determined would lower the wages of working-class Americans. Politico notes that even “if proponents can’t gain traction in 2014, they will be setting the stage for the coming years, when most congressional watchers believe some action will be taken to overhaul the country’s immigration laws.” That would fit in with what Breitbart News Senior Editor-at-Large and Government Accountability Institute President Peter Schweizer has said about Washington politicians who often want to milk industries because money is not spent in Washington if problems are solved. Government is often a cash cow for high-tech industries in Washington. 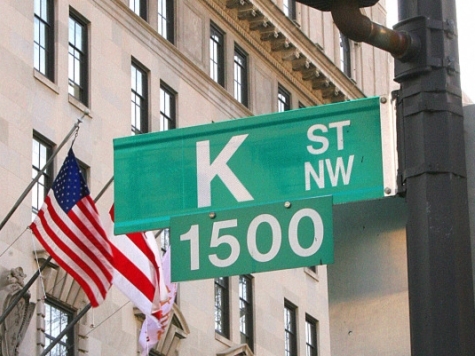 And in turn, the high-tech industries hire K-Street lobbyists to make government more profitable for them. For instance, Facebook co-founder Mark Zuckerberg’s FWD.us group has vowed to spend at least $50 million to get amnesty passed because he desperately wants the pathway to citizenship provision that would legalize all of the country’s illegal immigrants and more high-tech visas to flood the labor market with foreign workers. The group has hired prominent members of the permanent political class from both sides, including Republicans like Dan Senor and Rob Jesmer, and paid them well to promote and get amnesty enacted even though the claim of a high-tech worker shortage is a myth.